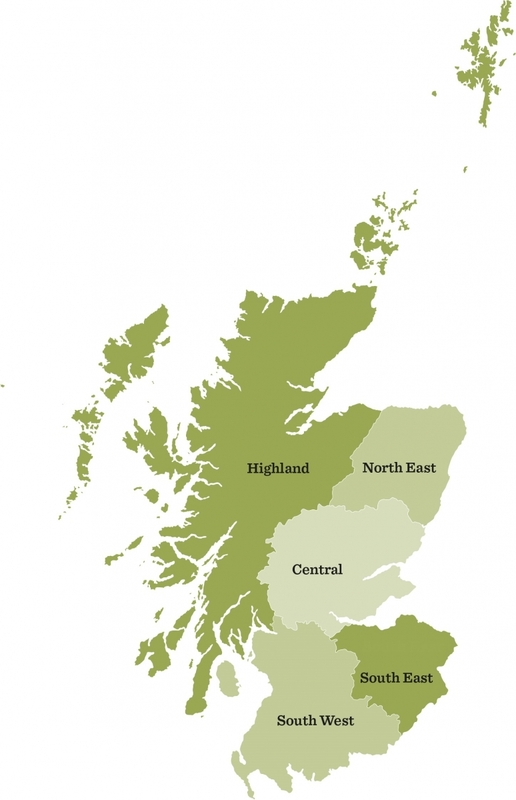 Scottish Land & Estates consists of 5 regions managed by a team of Regional Support Officers, overseen by a Regional Coordinator. The role of the Regional Support Officer team is to promote our members’ businesses and interests, by representing members at a local and regional level. Every Region has a local Regional Committee, led by a Regional Chairman who works closely with the Regional Support Officer and Scottish Land & Estates headquarters in Musselburgh. These committees are fundamental in ensuring members' interests are fully represented and encourage an open two-way dialogue between the regions and Scottish Land & Estates. A prime example of communication can be seen with Scottish Land & Estates’ National Policy Group, which has a representative from each Regional Committee. The Committee representative reports the latest policy developments from a national level and the position held by headquarters, whilst reporting back to headquarters the regional stance. Regional Support Officers are the cornerstone of members' relationship with Scottish Land & Estates. Through the regional membership we can better understand the issues and challenges facing rural business both on a day-to-day basis and longer term, aligning ourselves to best meet the needs of our members. To find out what is happening in your region, please login to the members area or contact us on - 0131 6535400.